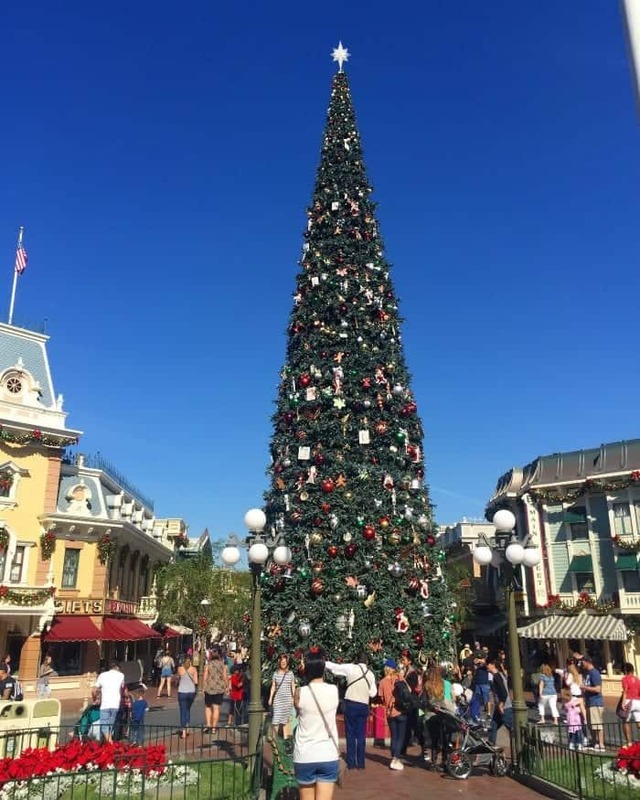 Reasons To Visit Disneyland Resort During Christmas! 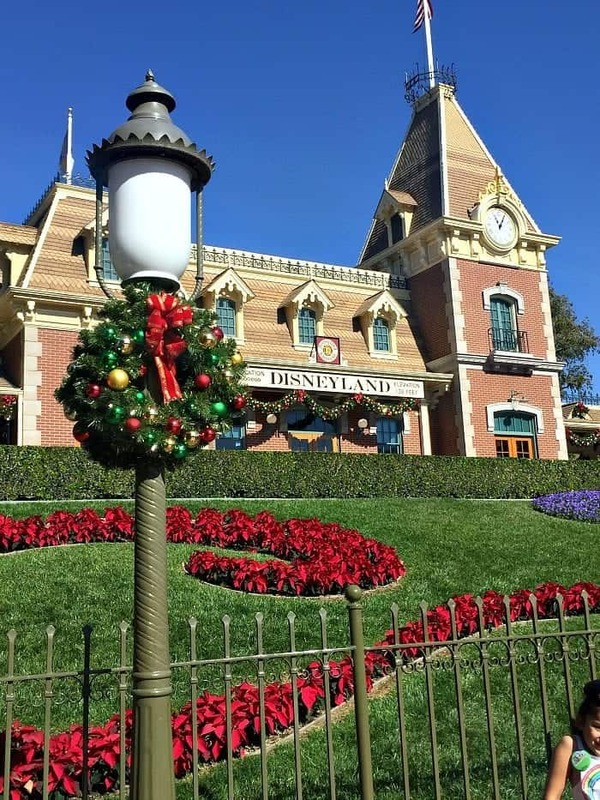 We LOVE visiting Disneyland Resort during Christmas. Just spent a few magical days there for my birthday and anniversary weekend…without the kids, lol! 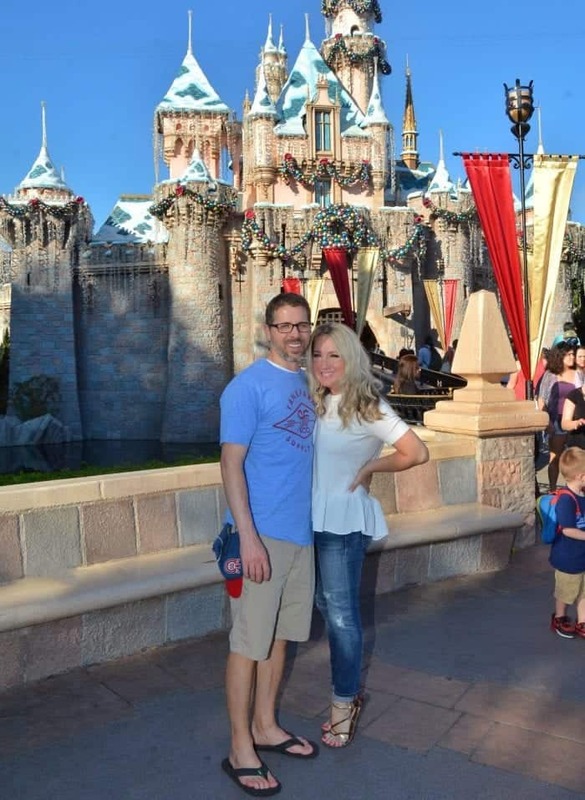 I love taking the kids, but I also love visiting with just my husband, total Disneyland nerd over here! This is truly one of the BEST times of the year to visit. If you’ve got a trip planned between now and January 8th, let me show you our favorites! The Christmas treats and food are the cutest! Ok, they’re delicious too, but seriously this is a big part of why I visit, so I can enjoy all of the fun Christmas treats. 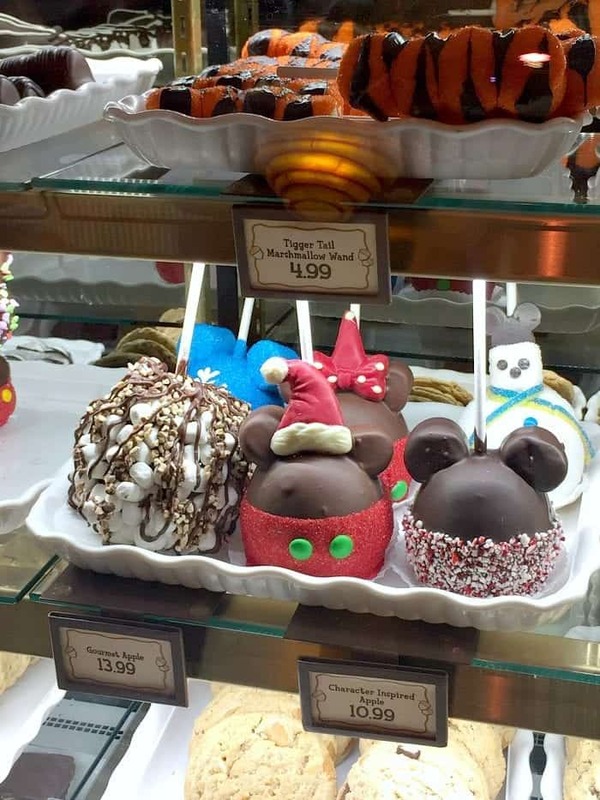 These apples are from Pooh Corner in Critter Country, one of my favorite places to get my baked goods. 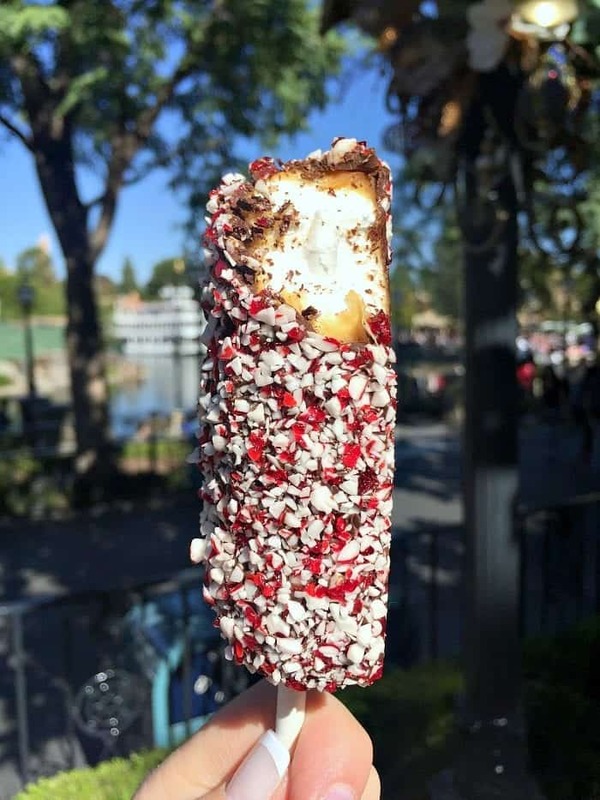 I did a full review on The BEST Christmas Treats at Disneyland right now, check it out HERE. 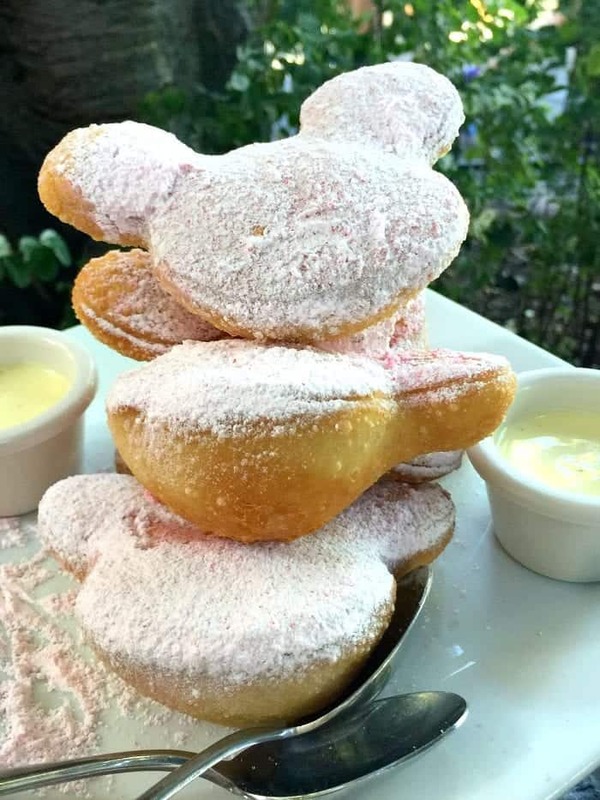 One of the highlights was the Candy Cane Beignets that we ordered from Cafe Orleans in New Orleans Square. They come with a vanilla dipping sauce if you order from the restaurant. Too good! You can also purchase these “to go” style from French Market Restaurant, Mint Julep Bar and Ralph Brennan’s Jazz Kitchen. So many fun Candy Cane goodies. Loved this marshmallow wand too. You’ve got until January 8th to eat yourself silly with all of these Christmas treats. 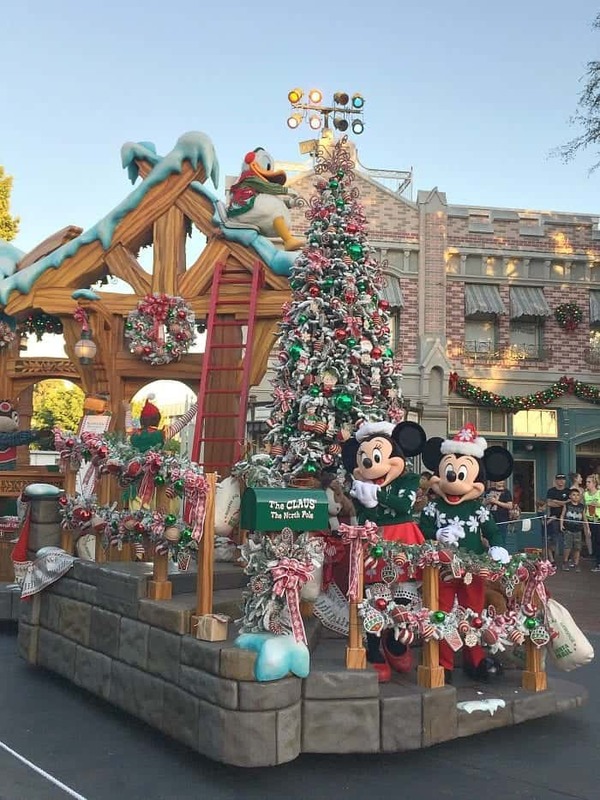 A Christmas Fantasy Parade is perfectly adorable! Don’t miss this one, find days times of the parade on your Disneyland Guide Map when you enter the park! Who can resist a picture by the Sleeping Beauty Castle decorated so beautiful for Christmas?! Keepsake ! 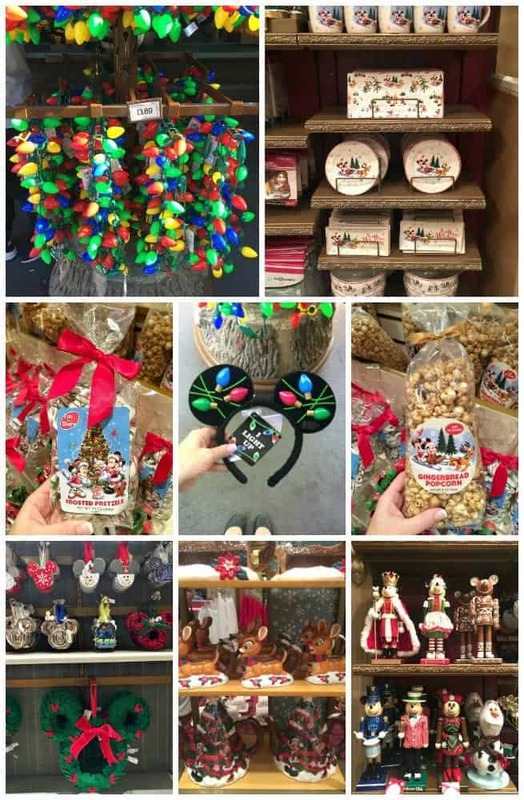 Another fun reason to visit Disneyland during Christmas is the Christmas merchandise for sale. Yikes, it’s adorable! I wanted to take home one of everything! Stroll through the shops down Main Street U.S.A. and you’ll see what I’m talking about. Sleeping Beauty Castle at night is stunning. You don’t want to miss Believe…In Holiday Magic Firework show. Again, check online or your Disneyland Guide Map for times of the show. Plus it snows on Main Street U.S.A., it’s just fantastic!! “it’s a small world” Holiday is about the cutest ever. 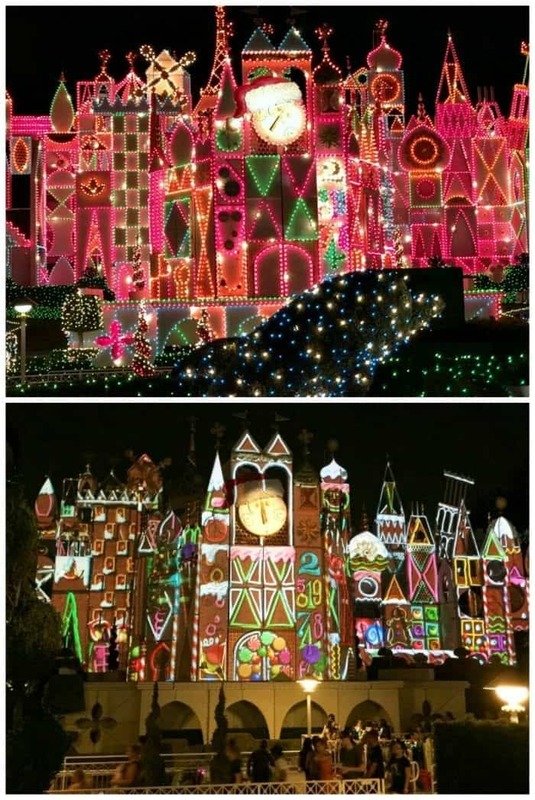 It is decorated with beautiful Christmas lights and every 15 minutes after dark, you’ll see a projection like show for all of the guests to see. You’ve got to see it. Jingle Cruise is another fun ride to check out. 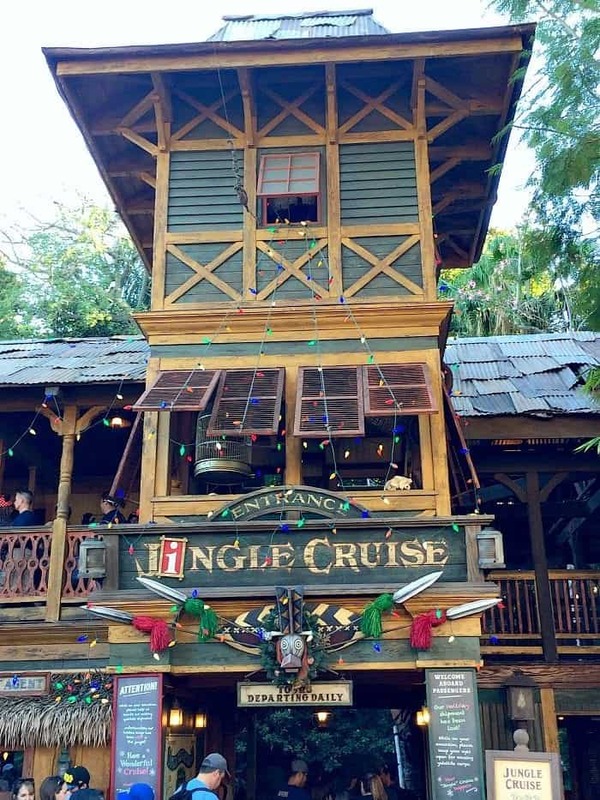 Jungle Cruise gets a Christmas make-over that is worth the wait in line! 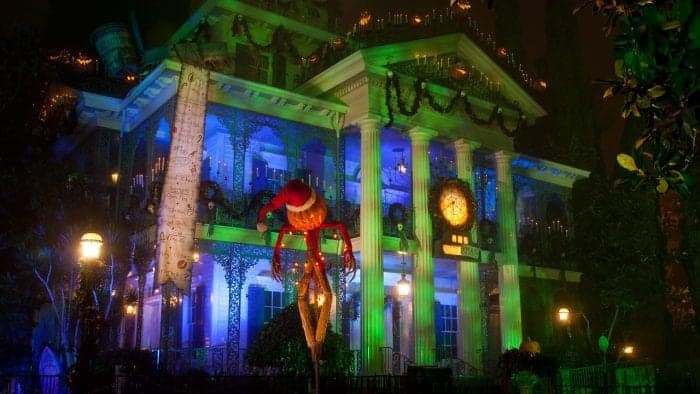 Haunted Mansion Holiday has been one of our favorites for years. The Nightmare Before Christmas “take-over” is so much fun. The Gingerbread House scene is perfection too. 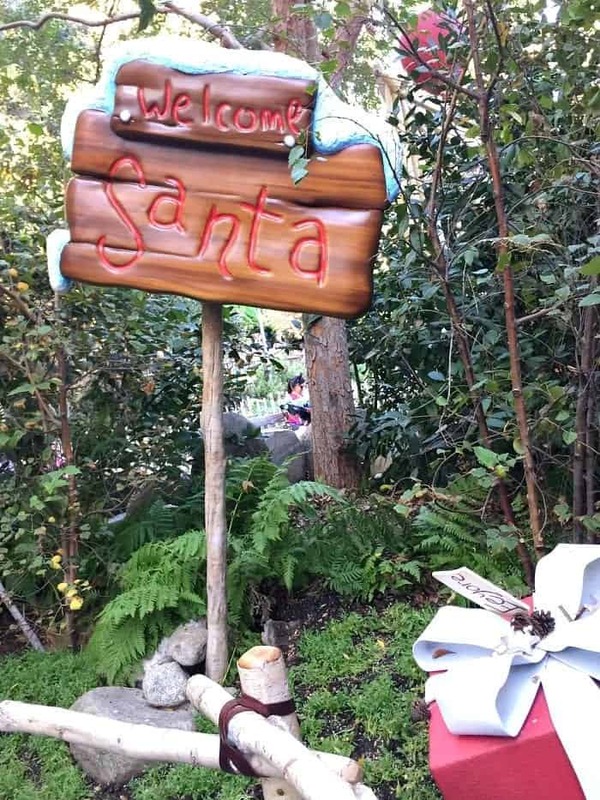 You can take the kids to visit Santa Clause in both parks. Disneyland has a precious little set up in Critter Country at the exit area of The Many Adventures of Winnie The Pooh Ride and exit area of Splash Mountain. You won’t miss it. It is decorated so great. 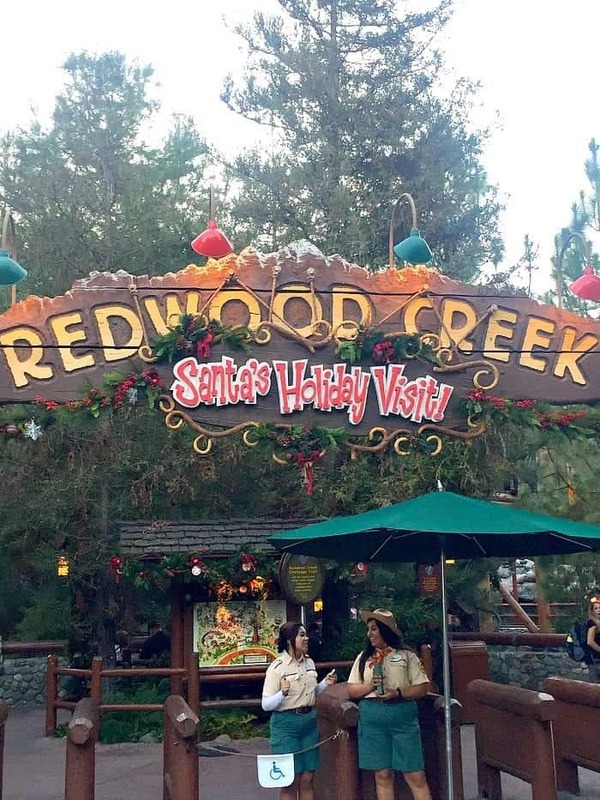 You can visit Santa Clause in Disney California Adventure Park in the Redwood Creek Challenge Trail area, Grizzly Peak, right across from Grizzly River Run. Check it out! 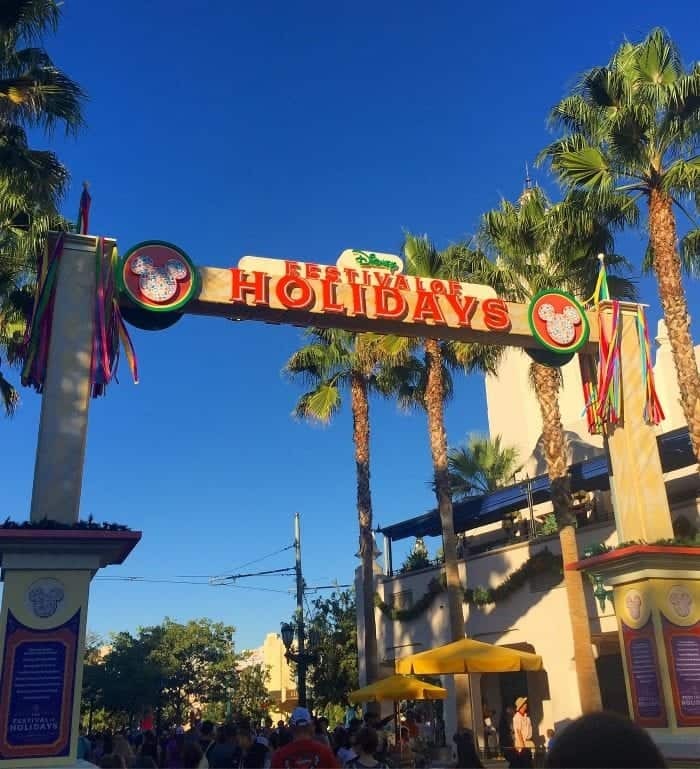 Disney California Adventure has Festival of Holidays going on until January 8th 2017. It is such a treat. I did a full review of each Marketplace and things to do and see. Check it out HERE. Hope you’ve enjoyed our many favorites of visiting Disneyland Resort during Christmas. Thanks for stopping by! BlogHer Food Extravaganza, San Francisco! Packing my bags now! How fun! So much fun and so MAGICAL! I need to take the kids there for Christmas. Looks like a great place for the entire family!! Love! 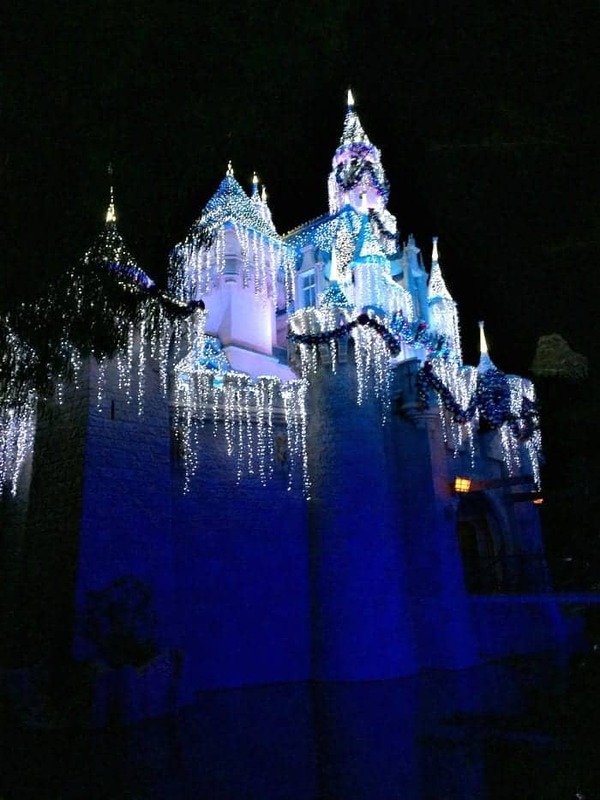 Disneyland makes the Holidays so magical! Christmas at Disney is really so incredibly magical! Looks like an amazing trip!